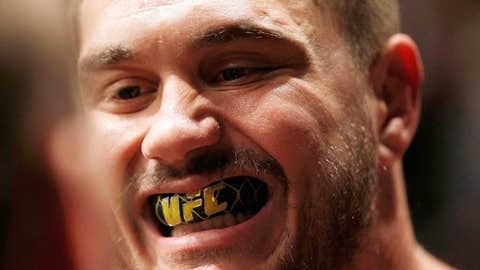 It's must-win time for Mitrione in Macau, who is 1-3 in his last four fights. Two new fights have been added to the upcoming Ultimate Fighter China Finale card in Macau including Ivan Menjivar taking on Hatsu Hioki as well as a heavyweight showdown between Matt Mitrione and Shawn Jordan. UFC officials announced the new bouts early Saturday morning. Ivan Menjivar (25-11) will look to stop a two-fight skid when he travels to China for his next bout. Menjivar is a true veteran of the sport, but with a 1-3 record in his last four fights a victory in March is an absolute must. Facing similar odds is Japanese fighter Hatsu Hioki (26-7-2), who is looking to break a three-fight losing streak. Hioki came in with high hopes of becoming a featherweight title contender after winning his first two fights inside the Octagon, but over his last three fights he’s seen how the other half lives with close performances going to his opponents each time. Also added to the card is former Ultimate Fighter season 10 competitor Matt Mitrione (6-3), also on a mission to better his recent performances that have yielded him a 1-3 record overall. A powerfully strong athlete with natural gifts in the gym, Mitrione knows that this fight could be do or die so he’ll look to bring everything to the table when he fights on March 1. Opposing Mitrione will be Team Jackson MMA fighter Shawn Jordan (15-5), who will try to bounce back from a recent loss to Gabriel Gonzaga when he gets back in the cage in March. A former LSU football player, Jordan has all of the athletic ability to go far in the sport, but with the heavyweight division acting like a shark pit amongst the best in the world, a win is paramount here for the 29-year old competitor. The Ultimate Fighter China finale will take place on March 1 in Macau with welterweights Dong Hyun Kim and John Hathaway leading the card as the main event.